Submitted by Michael on Fri, 10/10/2008 - 12:21. Yes, you read that right. 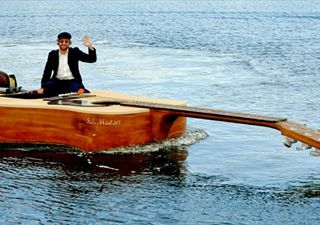 A giant guitar boat, motor and all. 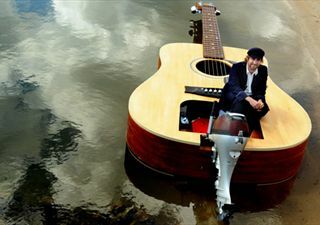 It was created for Sydney signer Josh Pyke to the exact specifications of his Maton acoustic guitar. He's using it in his new video. Posted by Izuksun on Sat, 10/11/2008 - 00:55. Posted by dana on Wed, 10/15/2008 - 00:31. Posted by Russ on Tue, 10/21/2008 - 04:07. Posted by Ivy League Records on Thu, 10/23/2008 - 10:53. 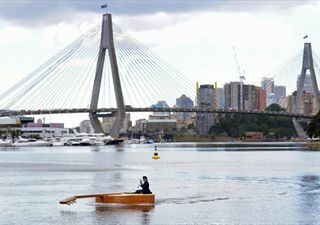 The official video is amazing! 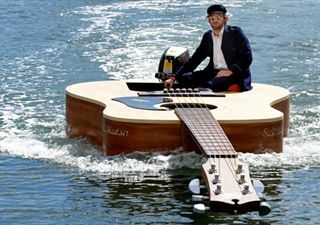 Guitar boat = win. Posted by Chels on Sat, 01/03/2009 - 04:27.